The mission of iTrekNepal since its inception has been to provide a higher level of quality and care than has ever been available to trekkers in Nepal. These high standards are reflected in the quality and dedication of our employees and the quality of accommodations, transportation, food and all the other services that we provide on every trek. Our local office and experienced guiding staff in Nepal insures that you will have a genuine, Nepali-style, full-service trek. You also have immediate access by e-mail or phone to our staff of Nepal trekking experts who can answer any question about trekking in Nepal and help you plan your trip. ITrekNepal is the only Nepal trekking company based in Bhaktapur, a beautiful World Heritage city just outside Kathmandu. Guests staying with us in Bhaktapur will find a peaceful refuge from the clamor of Kathmandu, with easy access to both the Nepal countryside and central Kathmandu. 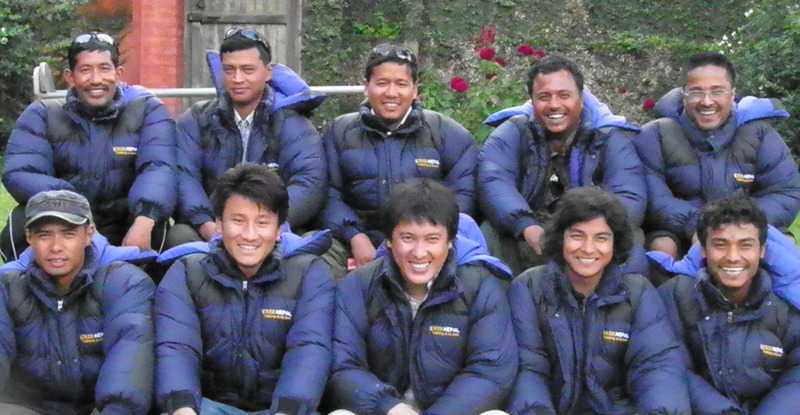 Our guides are dedicated to iTrekNepal and are the most important members of our company. All ITrekNepal guides are specially trained by the Nepal Academy of Tourism Management (NATM) and licensed by the Nepal Ministry of Tourism. More importantly they are a lot of fun to be with and are devoted to ensuring that you have a fantastic trekking experience.